Bonni Benrubi Gallery is pleased to present new work from Mali and Libya by acclaimed artist Jehad Nga. This new body of work by Nga once again strikes a powerful aesthetic balance between the personal and the political; the emotive and the pragmatic; the humane and the inhumane. In his stark minimalist images, Nga turns his decades long exploration of the people and cultures of Northern Africa into a quiet meditation on life and community in these uniquely challenging countries. "To me, it is these brief flashes of affection and communion that lend a greater dimension to a vision of a country." 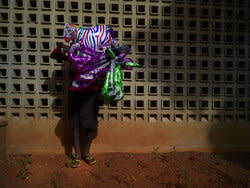 Nga explains, "In unsuspecting places while in Mali, I wanted to grasp a greater relief in trying to harness the various obscured layers, and compress these moments into a series of beats rather than a sequence of photos. 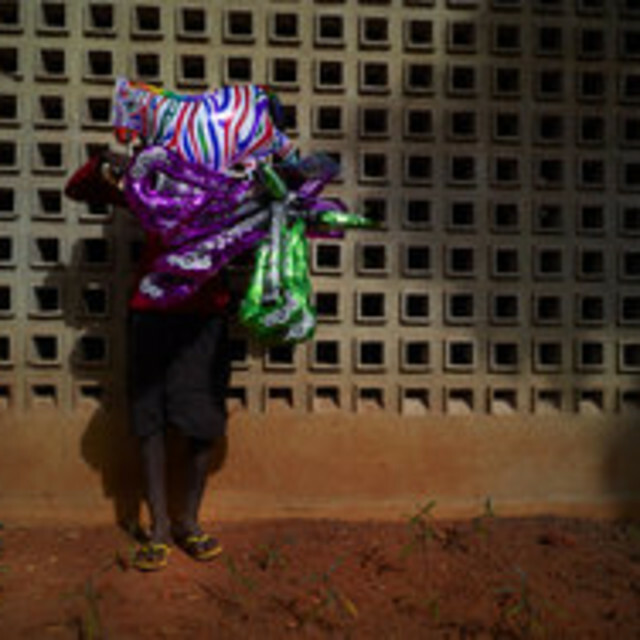 Moving against the grain I have become so familiar with over the years, I felt more inclined towards looking for these symbols of remoteness, which punctuate the pervading sense of intensity Mali is charged with. " Nga's portraits are at once sympathetic and removed- Unflinching, while often decidedly obscured. It is easy to loose one's bearings when presented with these figures, and it is precisely this difficulty relating to hidden faces that becomes a theme for the period he was in these countries. The images suppress common narratives of war with the overpowering color and texture that Mali and Libya radiates. Also on view in the gallery's project room will be selections from Nga's Green Book series. Completed last year, the series takes it's name from The Green Book, a short book setting out the philosophies of former Libyan leader Muammar Gaddafi. The project saw the artist "intercepting" censored images from the internet in Libya, converting them into binary code, and combining them with the code of each chapter of The Green Book. The result is an unsettling, and oddly beautiful group of images created entirely from preexisting data. Each print while visually magnetic for it's striking primary palette and digital abstract forms, also asks sobering questions about technology, government and our place in the digital age. Over the past 10 years, Jehad Nga's assignments have found him covering stories in Somalia, Kenya, Iraq, Liberia, Libya, Darfur, Ethiopia and Iran. His work frequently appears in such respected publications as the New York Times, The Los Angeles Times, TIME Magazine and Forbes, among others. In 2005, Nga was awarded the Picture of the Year International Award (POYI) for his coverage of the Darufurian war and Chadian refugee crisis. He received it again in 2006 for his coverage of Operation Steel in Iraq. In 2005, Nga also received first, second and third places from the Chinese International Press Photographers for his coverage in Uganda, Chad and Darfur, as well as the "Top 30 Under 30" award by Photo District News.